Once, when our daughter was 6 years old, I realized that I really wanter to get a friend with four paws, that would maka our life more exiting and would be deveted friend and teachr for our daughter. As I prefered dogs with curly coat and small size (about 40-45 cm) there were not so many breeds to choose from. Harmonious body, aristocratical appearence, especially high intelect and bright individuality of poodle made me choose this breed which offers such a variety otf the sizes and colors as a poodle. 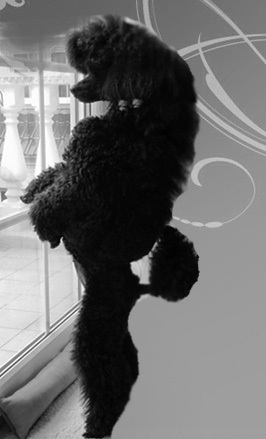 Our first poodle was U-Linda Braun Scherwurdt Ars - a brown miniature female, born January, 1990. At that time our family lived in Ukraine. We were very glad to this acquisition. Linda, a charming puppy, has grown up in a clever and beautiful dog. In September, 1990 together with Linda we participated in Ukrainian Republican Dog Show. There were 25 females of different colors in the Junior Class and Linda became the first. The first show - the first victory!!! And the first title - Junior Champion of Ukraine!!! It was the beginning of our new hobby. 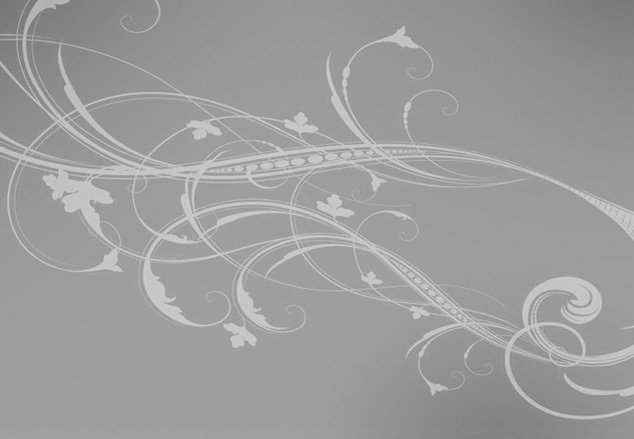 We've got new aims and purposes, passion an dinterest to continue the show career of our dog. Since that time we have participated in many Dog Shows. So Linda became the Ukrainian Champion. She was not only a show star, but also a good mother who had grown up two litters of high quality healthy puppies. In 1997 our family moved to Germany. In the Summer 2003, after illnes and surgery our Linda passed away. It was a very big tragedy for all members of our famili. We could not imagine our life without a dog. During the yaers af Linda's life once again we became sure that wem ade a correct choice of breed. Ando ne oft he family council we decided to get a new family member. The main requirements while selecting a puppy were good health and temperament, without the slightest drop of timidity or cowardice, and of course the overall appearence for further participation in the Dogs Shows. So we brought home a black miniature female Black V-Linda von Modeeck. She filled our house with joy and happiness again. Our second Linda grew up full of energy, harmoniously built, intelligent and obedient dog. Weh ad spent a lot of time on her education and traning. We were concerned not only about her nutrition, but also the necessary tranings for correct bone growth and muscles gaining. We followed the latest lines in grooming and than used it al at the Dog Shows. When it came time to choose a male for Linda, we had a ver yresponsible approach an this issue. As a result we chose a dog from a well-known New Zealand Kennel "Kateisha". After 2 months of exciting waiting Linda gave birth to five healthy and strong puppies. As they grew up our desire to keep another dog also increased. So decision was made! Armania stayed with us! This tiny creature returned into our life games, trainings, grooming and then the Dog Shows. And everything repeated again. Again Dog Shows - again victories!!! Each af them has her own unique character, sharp mind and good health. They are full members of our familis living free in the house and traveling with us over the world. Both our dogs have numerous Champion titles, as well as prizes and diplomas for victories in the dog races. Since 2003 we are a member of German Poodle Club DPK (VDH-FCI). In 2006 we registrated aur kennel in FCI. Our main goal in breeding is to recive healthy and mentally stable dogs. We focus only on quality not quantity. Each female in our kennel has only 1 or 2 litters in her live. We select the stud males very carefully according to the needs of each female, the most suitable in type and exterior healthy males from the world's leadimg kennels. We know that Dog Shows and thoughtful responsible breeding of our fovourite breed require a lot of time, fortitude and delication. And we are ready to do this because it's not only a hobby, but also weihout any exaggeration it is our life. Over the years we gained experience and knowledge and also the nderstanding that the one of the most pleasant moments in our hobby is the communication with our friends and associates who are ready to shere our joy and sorrow. We found all these friens due to our love of poodles.